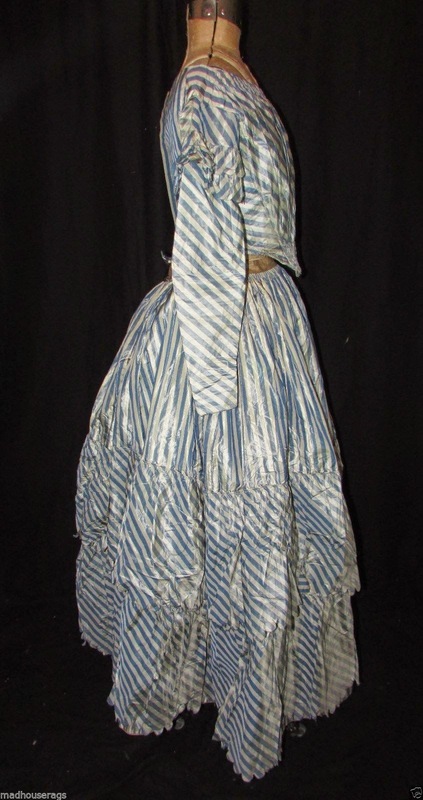 Wonderful blue and white striped changeable silk dress. The blue changes from a medium sky blue to a silvery beige depending on how it is viewed. It's lined with cotton, the dipped waist is shirred, as is the boat neck. 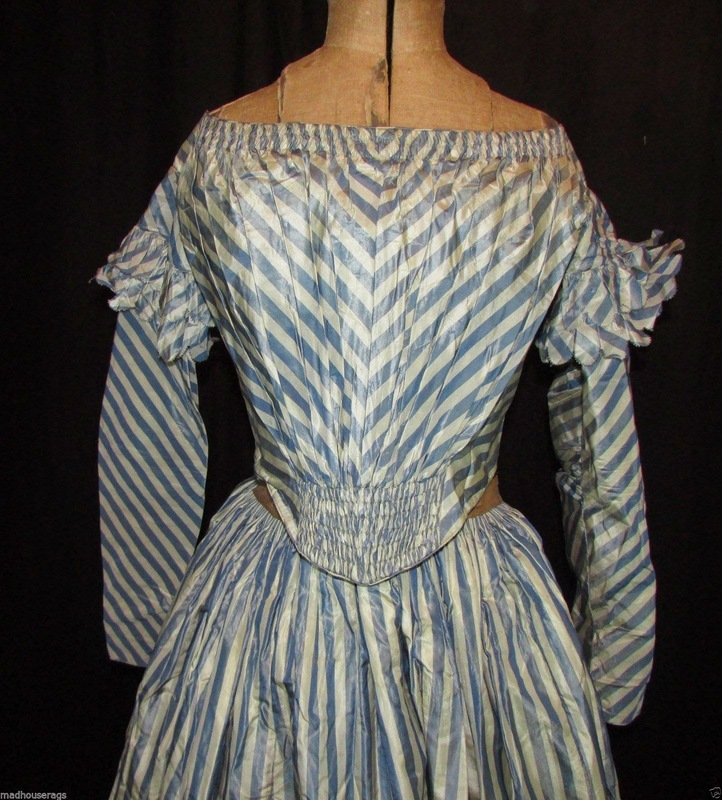 It's piped at the neckline, shoulders, and waist. There is one bone, in the center front, it fastens with hidden brass hooks and eyes. 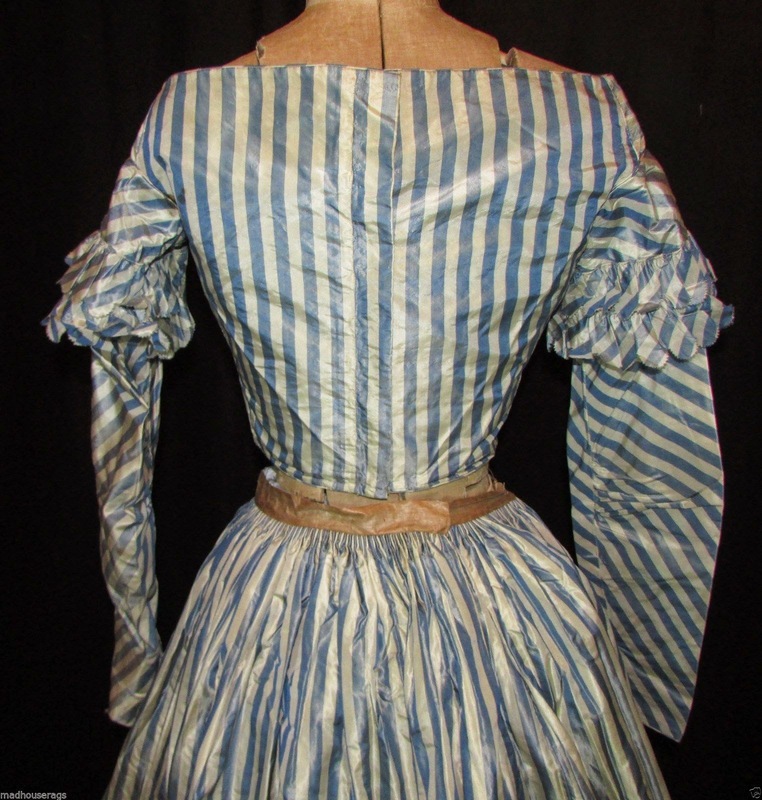 The double row of ruffles at the shoulder has pinked edges, matching the ruffles on the skirt. 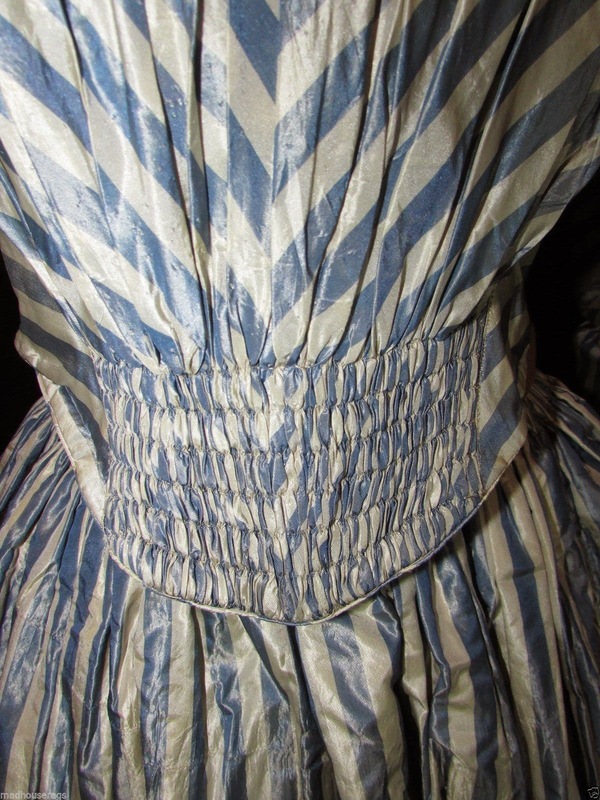 The sleeves are close fitting, with a few tucks at the elbow. 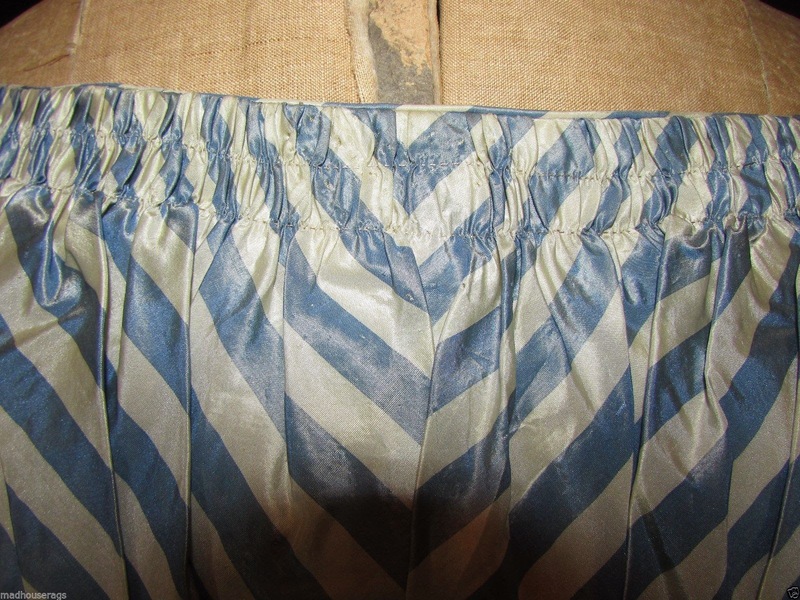 The skirt has a brown cotton waistband, very dense cartridge pleating all the way around at the waist, and two rows of ruffles with pinked edges. It's lined with white cotton, there is a beige tape at the bottom edge. No evidence of any closures. Both pieces are hand sewn. The bust measures 32", waist 26". Please note that these are outside measurements. The skirt is 40" long, waist is 28". I have put a small crinoline skirt underneath, it could take a larger one. Very good condition. There are some brownish spots to the lining at the underarms. 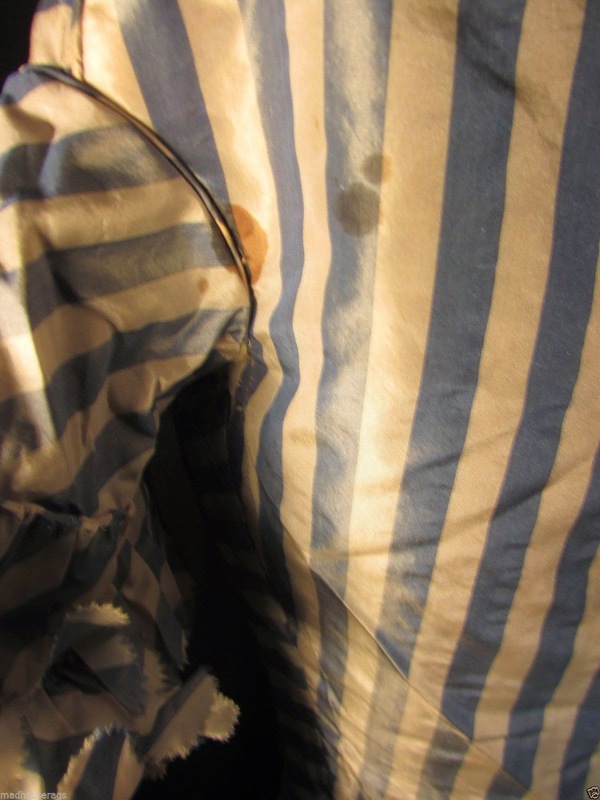 The left armhole area has two brownish spots in front, and three in back, that show through. I have shown the spots in the last two pictures. Both underarms have some general discoloration, where the color has run. 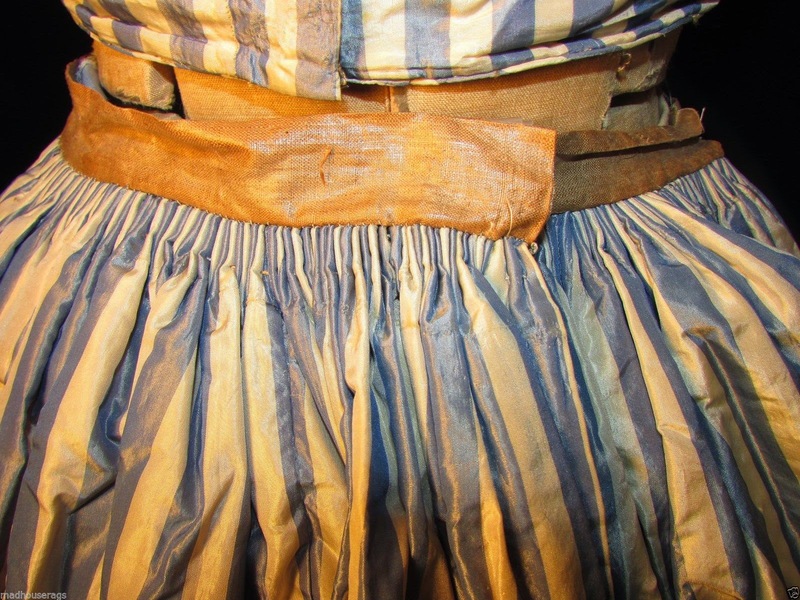 There is a small light brownish area on the skirt. I don't see any weak, torn, or split areas. 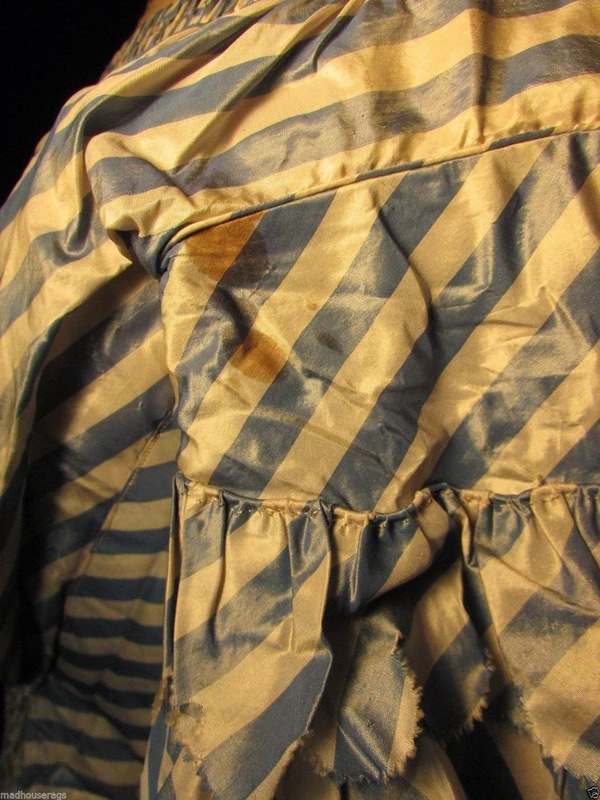 There is fabric at the inside waist, or under the flounces, that could be used to patch the discolorations, if anyone wished. 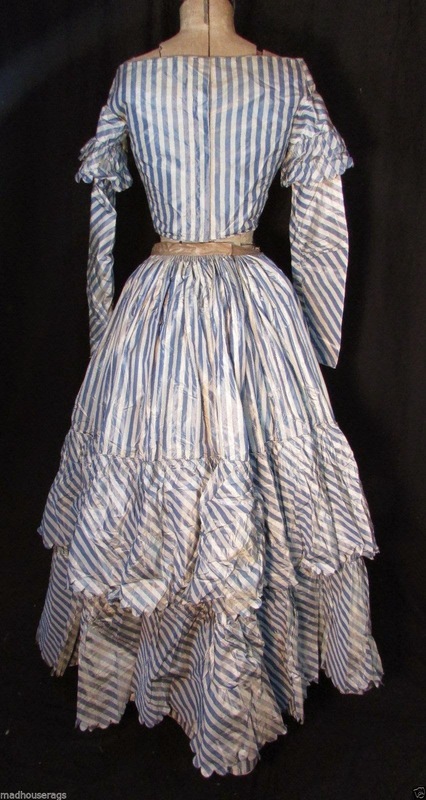 I'm thinking 1841/1842 for this style. Despite the stains, it's still quite lovely.